Have you ever felt Google knows what you want before you even ask? Well, it truly does and this is how. Google, being the pioneer that it is, is slowly but surely introducing the concepts of “Deep Learning” in many of its services. Deep Learning, which has become synonymous to artificial intelligence, is the cutting edge of cutting edge technologies that has enabled data scientists to crack major problems in multiple fields which has proved difficult to solve for decades. 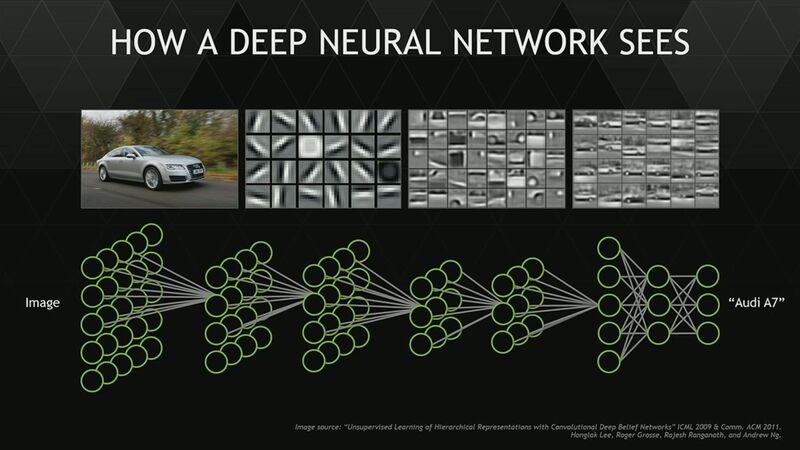 It is no surprise that Google is one of the first and major players in using Deep Learning in its services. There is a simple reason behind this – it works! Computers, as we know, are very fast in processing but not in understanding. They cannot learn from the mistakes they commit and has to spoon-fed with specific set of instructions to carry out tasks. Deep Learning is trying to solve this. Deep Learning consists of creating artificial neural networks that can mimic the way an organic brain sorts and processes information. These networks are stacked upon each other creating many layers. Each one of this multi-layered network captures and processes different part of the information. For example, one layer may process edges of a shape, another may process strokes of the same. Each layer will collect this information and send it to the next layer ultimately creating a meaningful understanding of the input and in the process learn to interpret the meaning. Deep Learning has enabled computers to play and enable an ancient Chinese game “Go” which has been much more difficult for computers to play and master than chess. The AI program AlphaGo has taught itself the game Go by first observing moves played by experienced Go players over and over.Then it kept playing against itself millions of times. Ultimately, it was able to play and win the game multiple times. AI programs can now be able to produce a pretty good image from the instructions fed into it. If you ask “How does a cat look?”, it can produce an image which very closely resembles a cat. It does this by interpreting millions of instructions and images fed into it over time. You can watch this brilliant TedxMontreal video of Yoshua Bengio to better understand the magic of it. In 2011, a neural network consisting of 16000 computer processors was built-in Google’s mysterious X lab and made to browse YouTube. What happened a year later was simply amazing. The project was aptly named Google Brain and Google is starting to use this neural network in many of its major services. In 2014, Google acquired Deep Mind, the company responsible for developing AlphaGo mentioned above. Where Can You Expect it? Google’s first practical use was in image processing where the “brain” was put through sorting millions of images uploaded to the parts of the internet which Google indexes. Recently, it achieved a breakthrough in image enhancement. See Also: Do you know about Bluetooth: Mesh? One major and recognizable use of Google brain was in language processing. We all know about Google Assistant. what we don’t know is it uses deep neural networks to better understand spoken commands and instructions. That’s how it guesses and knows what you want so effectively. Google Translate was also put under the umbrella of Google Brain and the system was re-written to run on a new platform called Google Neural Machine Translation. YouTube (of course)! We all use it and know the recommendation feature of Google that suggests related videos while we are watching one. Researches showed that having useful recommendations are more likely to keep the users hooked to the platform. Google uses deep learning to provide this useful recommendations and Google Brain is behind the technology used here. And you were wondering why you cannot leave YouTube? Google’s self-driving car division, Waymo, has incorporated deep learning algorithms into their autonomous systems, in order to make self-driving cars more efficient at analyzing and reacting to what is going on around them. Deep Learning is the technology where the true magic is happening. It is definitely the next level of AI and Machine Learning. That’s why not only Google, but companies like Netflix and Amazon are using it to determine what you may watch or buy next. A great deal of people are pinning their hopes on deep learning providing some great leaps forward in coming years and that day is not far when technology will be the answer to all our worries. Wow, I must admit I wasn’t aware of the advancements on Deep Learning. Interesting stuff. Though I feel its use will lead to, among other things, a further increase in consumerism, which is not good news at all. Agreed. As is the case with anything, it is upto us how we choose to use it. Thanks for your feedback. Do you know about Bluetooth: Mesh?